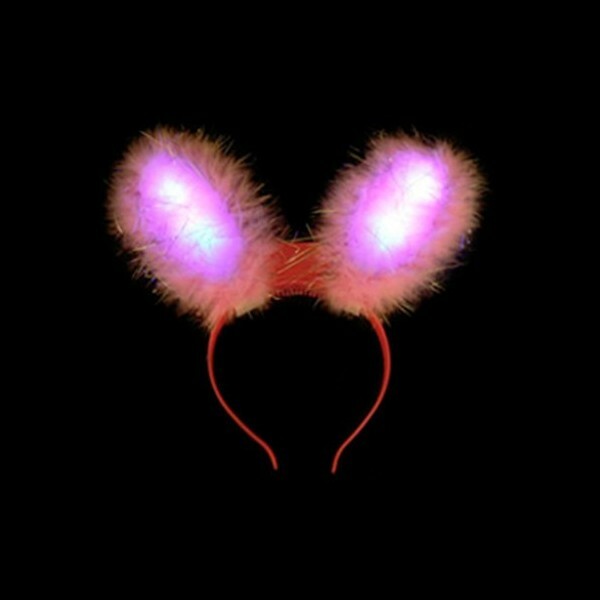 These flashing bunny ears are ideal for fancy dress, hen nights, parties, etc. 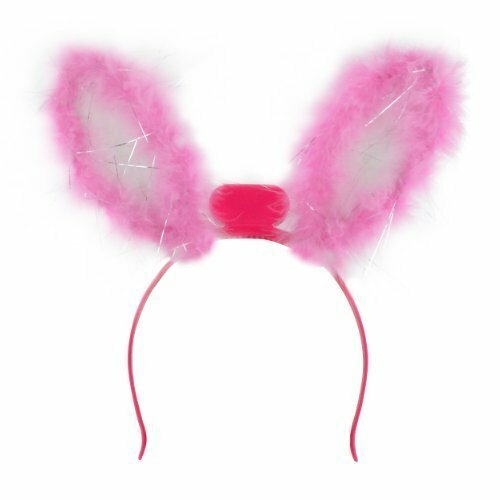 They are made from soft pink feathers with subtle silver tinsel on the back and a flashing centre on both ears, all attached to a matching pink headband. 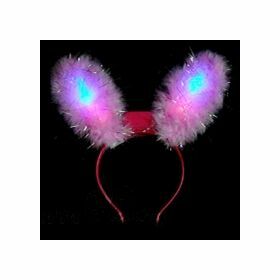 Supplied with pre-installed batteries so ready to use or can be resold as supplied in bag suitable for resale. 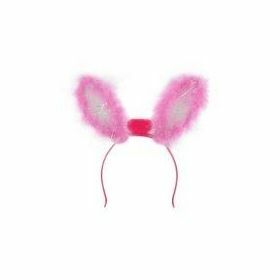 GO ON - WEAR ONE AND STAND OUT FROM THE CROWD ....... ! !